"Oh, Dakuwaqa!" 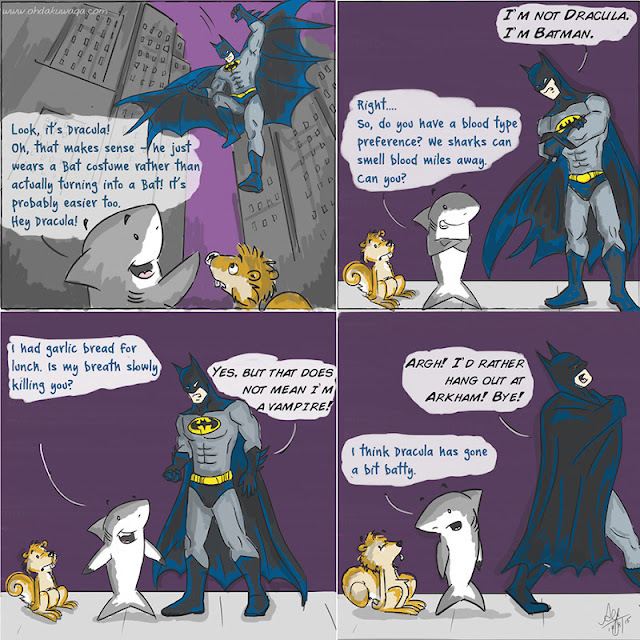 - The Shark comics and cartoons: The Shark vs. Batman: Sharkham, here I come. 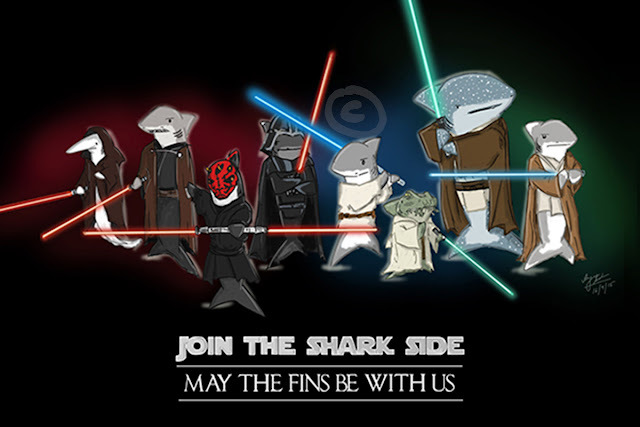 The Shark vs. Batman: Sharkham, here I come. My apologies to all Bat-Fans out there. I'm not exactly sure why my Shark likes to pick on Superheroes. But as you can see, it's so darn easy. ps - I love Batman and Dracula ain't too dull either.